Tell us about your family. Where are you from in the United States? How long have you been married? How many kids do you have? How long have you lived in Romania? Jake: Jessie and I have been married for 8 years, and we’ve got the kids to prove it. 🙂 We have four kids, Naomi (7), Mae (5), Illiana (3), and Isaac (1 1/2). I’m from Wisconsin and Jessie’s from Virginia. We met at church, while I was still in college at UW-Madison and she was working for Americorps VISTA (think domestic Peace Corps). We didn’t really get along at first, but we soon fell in love, got engaged, got married, moved to a new city, and entered full-time ministry, all in just over a year. 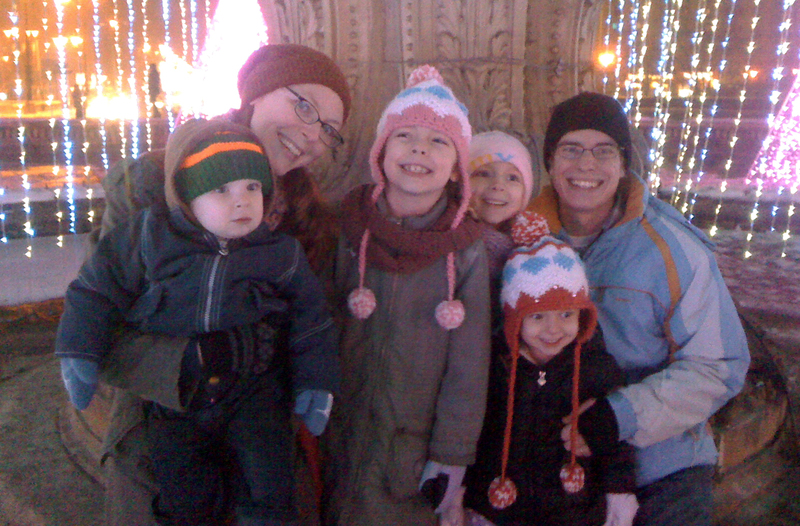 Then for Isaac’s 1 year birthday (April 30), we moved to Romania, so we’ve been here about 8 months now. What was your profession before you moved to Romania? Jake: I was in full-time ministry with two different churches. I had been working as a youth pastor / church administrator at a small suburban church in Oconomowoc, Wisconsin, for about 8 years. Jessie was a huge part of the ministry to the teens alongside me. And at the same time, we were doing college and inner-city ministry in Milwaukee, as part of a church-planting team that moved to the city about 2 years previous. Jessie: I was a SAHM [stay-at-home mom] who home-schooled her children before moving here, and I am continuing in that path now. In the States, I also used to do some freelance writing, and I did ministry with my husband with high school and college-aged kids. What fears and real concerns did you have before you moved? Jessie: Not being able to speak the language was and still is my biggest concern. I’m not a naturally extroverted person, so combine that with living in a giant city filled with people and with having to communicate with them in a language I don’t speak very well is often stressful to me. Jake: I’ve got a lot longer answer than Jessie. 🙂 I hope that’s OK. Before deciding to move to Romania, the biggest fear I had was failure. We would toss around the idea of moving to another country, but then I’d always kinda’ back away because I didn’t want to try something new that I might fail at. I hate failing, so I didn’t want to put myself in a position where that might happen. What really set me free was when I threw the idea out there to my pastor, Michael, and he said, “Well, if you feel like God might be leading you to Romania, I think you should just go for it.” Then, when I expressed my fears of failure, he responded with two words that changed my life – “So what? If you fail, you can just come back here with some cool stories and then go do something else.” That “So what?” really set me free. So what if you fail? Might as well live and try something crazy. At least you’ll have some good stories to tell. Better than sitting around at home bored. Once that fear of failure was dealt with, all the practical, logistical fears and concerns came in. When we got on the airplane, we really weren’t sure how we’d survive financially. We’d raised about half the money we figured we’d need to live and minister here, so we weren’t sure how it all would work out. We had a “worst-case scenario” plan that included us sleeping on the streets of Bucharest if everything went to pot. And when we talked about it, we realized that sleeping on the streets, while nothing I’d recommend, wouldn’t be the end of us. We moved out here on our own, not joining up with an already-established ministry or business, into a place neither of us had been before. It was a little crazy, when I look back on it. Jessie had never been out of the US, and while I’d visited a smaller city in the northeast of Romania for a few days, I had never been to Bucharest and knew next to nothing about the city. So I had some of the typical American fears of the “outside world.” As Americans, we tend to view every other nation as dangerous, scary, and unstable. All we know about are genocides, natural disasters, wars, terrorists, epidemics, and kidnappings, so we think that’s the reality beyond our borders. The truth is that every place has its positives and negatives, its problems and its successes. I didn’t think about it until we got off the plane, but we didn’t even really know anyone in Bucharest. Through a friend of a friend of an acquaintance I knew in the States, I received the email address of a man named Filip who I had been told was living in Bucharest and doing ministry that was astoundingly similar to what we wanted to do. So we emailed and Skyped a few times, and a few months later I was walking through the airport thinking, “Is this Filip guy even real? Maybe he was Photoshopped into our Skype calls. Maybe he doesn’t even exist… Or if he does exist, is he actually going to show up to get us tonight and bring us someplace we can sleep? And if he does show up, what if he’s nuts? What if he’s some crazed human-trafficker who lures in missionaries and their families, only to sell them to Russian mafia bosses?” It’s funny to me now, because I count Filip as one of my closest friends in this city, but at the time, I had this nagging fear that I was putting my family’s life in the hands of a really good Photoshopping job. The stuff we didn’t know was remarkable. We didn’t know anyone other than Filip in Bucharest, we didn’t know much about the city, we didn’t know the language, we didn’t know how to go about doing the ministry we came to do, we didn’t know how to get Visas… we didn’t even know how to get groceries or where we were going to live. But we trusted God (some days we were better at it than others) and He’s been pulling everything together. How did you overcome those fears and take the plunge? Jessie: Well, God said to go here, so I guess I’ve just had to trust Him to give me peace instead of anxiety. If I have to go out to a shop or to the market where I know people are going to talk to me in only Romanian, I pray on the way there. I’ve also learned that you just have to be willing to look ignorant, be misunderstood, and not care what people think of you. If God tells you to go somewhere or do something, who are we to refuse because of our perceived weaknesses. I also think bringing the kids along softens people. They see our kids, how happy they are, how well-behaved they are, and it opens doors and conversations easily. Jake: Ooops, I guess I answered a lot of this already, but I’m a preacher (and a blogger, deadly combo), so I’ve always got more to say. It mostly came down to simply not caring if we’d fail and then putting our lives in God’s hands, leaving everything up to him. Practically, we made some decisions early on that I think helped us overcome fear, or at least forced us to ignore it. I can be really stubborn, and I hate looking like a failure, so the first thing I did when we decided we’d move to Romania was call or email everyone I knew, telling them, “We’re moving to Romania next year to plant a church!” So that sealed it. I was too stubborn to back down after that. The next thing we did was buy our airfare. This set a launch date we could anchor our faith on, and it sort of knocked the wind out of fear, because, come what may, we were leaving and no fears could stop us. We felt nervous still at times, but it couldn’t do anything to change our minds. We were going, fear or no fear. What is your work in Romania? How long do you plan to live there? Jake: We’re missionaries here, working to plant a church. Everything is small, very grassroots, and constantly in flux, because we’re starting things from the ground up, “organically” as they say, but God seems to be blessing our work. 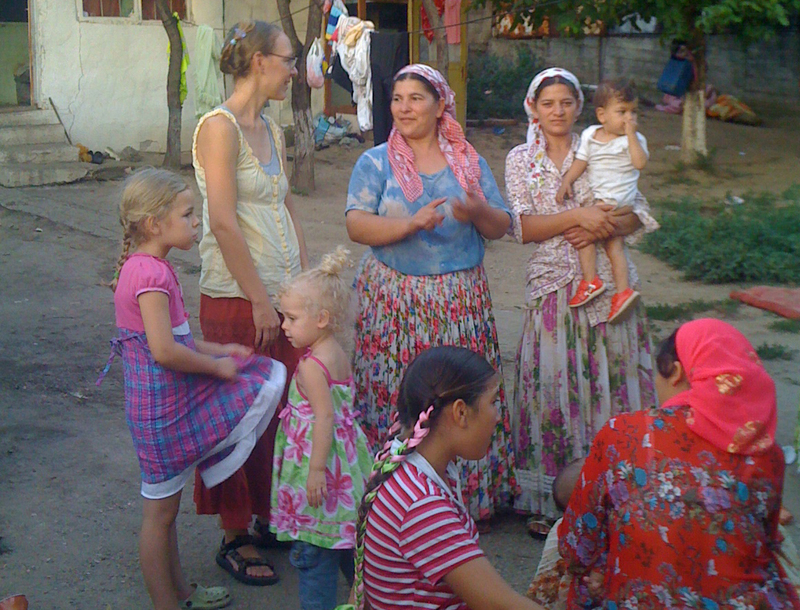 We have a small church group meeting in our house, we do a lot of street evangelism (in warmer weather), we meet with young men and women to teach and encourage them in living for Jesus, and we meet with a handful of Gypsy communities to do house meetings and church services every week. 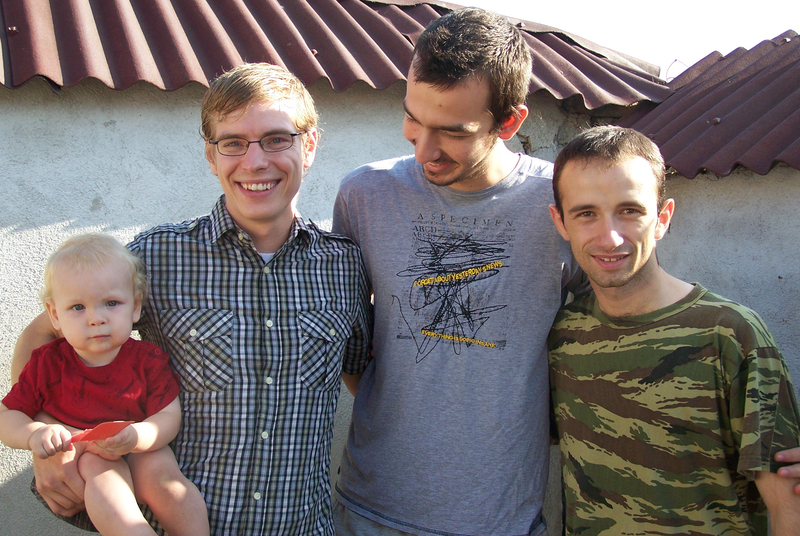 Our vision is to preach the Gospel, make disciples, raise up leaders, and establish churches throughout Romania. It’s a fun job. We don’t know how long we’ll be here, but we have 5-year Visas right now. Our goal is to stay at least long enough to get something solid established, a church that’s strong and growing and multiplying and impacting the nation. Beyond that, I don’t know. I love it here in Romania, but there’s a whole big world I want to see and a lot of other places that need churches too. What are the pros and cons of raising your kids outside of the United States? Jessie: It’s been good for our kids. 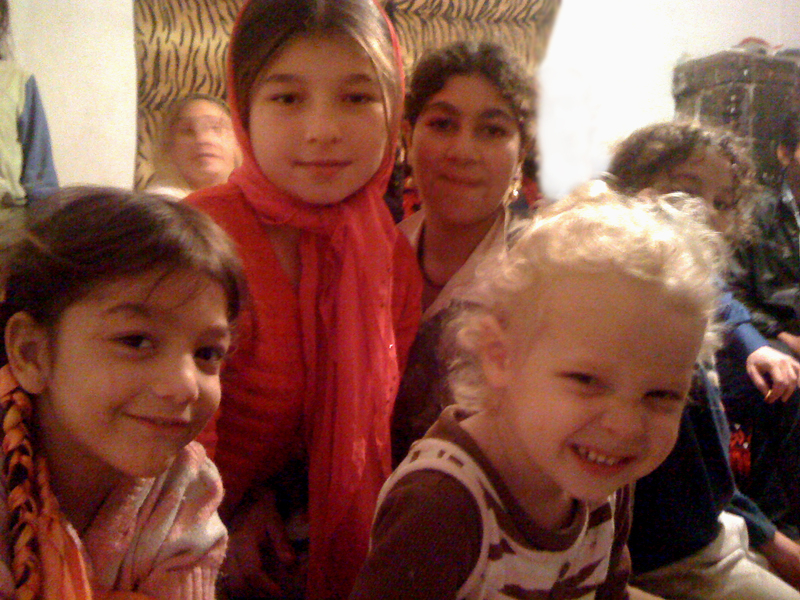 They go with us each Monday night to a church meeting in a gypsy community near our home where the families have very little and live in tiny little homes heated by live wires inside of a cement brick. 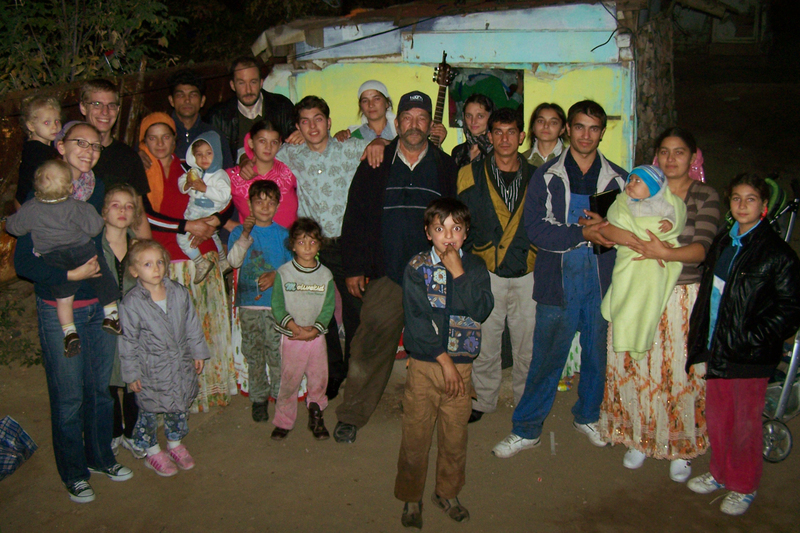 They also see that most other Romanian kids and their families live in small apartments. I’m glad they get to see a glimpse of what the rest of the world is like, because it’s so different from America. It’s also good for Romanians to see that children are a blessing, and that’s why we have more than just one or two. We get a lot of attention because of our family size, and I think I’ve only seen a few families with three children, none with more, and most with just one or two. 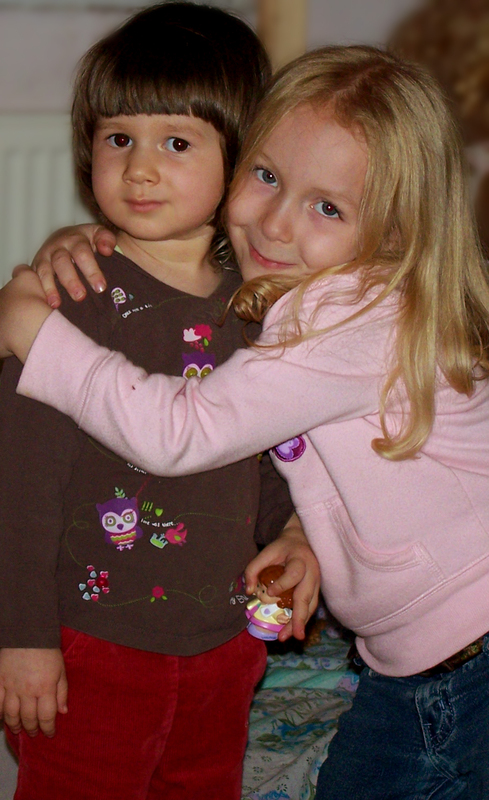 The difficult thing is, because we home-school, they don’t interact with a lot of other children on a daily basis. In the States, home-schooling was fairly common, and there were plenty of opportunities to join in a home-schooling group. It is rare here, so it’s harder for the kids to build solid friendships. During the day, most kids are either in the kindergarten, with grandparents, or in school because most moms work. Hopefully, as we all get better at speaking Romanian, we will have more opportunities to build friendships. Jake: I’m a bit biased, but I think the pros outweigh the cons. Your kids can learn a second language, they’ll be forced to learn and interact with new cultures, they’ll conquer fears, they’ll learn about different people, they’ll learn how to deal with confusing and disorienting circumstances, they’ll see that people are all kind of the same everywhere… And for us, as missionaries trying to reach this culture, our kids have proven incredibly beneficial. People of all cultures love kids, so they’ve opened a lot of conversations and softened a lot of people to us. And because we have kids here, it lends some credibility to us and opens a door to speak to the families of this nation. And, ultimately, it’s the families that shape a society. On the negative side, like Jessie said, it’s hard for them to make friends with Romanian kids right now, but they’ve made a few friends and as they learn the language better, they’ll make even more. It’s hard that the only contact they have with their grandparents and cousins is over Skype, but they actually get to “see” them more often now than when we lived in the States. Other than those couple things, I don’t see a lot of negatives. They love living here, and now it’s just normal to them. Any final words of wisdom or encouragement to families who might want to leave their home culture and live/work somewhere else? Jake: Just go for it! Don’t listen to all the fears. People are pretty much the same everywhere in the world. You’re probably not gonna get mugged, shot, stabbed, and sold into slavery. Everything is probably gonna work out alright, and you’re gonna have some fun (and funny) stories to tell. And you might just end up changing your life. So whatever excuse is going through your head, just ignore it and go for it. Jessie: Go for it! If God has put that desire in your heart, don’t worry about getting everything figured out just right. Nothing will ever be “just right.” And, if you have kids, don’t worry. Kids adapt well and can have fun and learn anywhere. They don’t have to be involved in every sort of sport or dance class or club like many kids in America, so don’t worry about them “missing out” on that kind of stuff. They will have an unforgettable experience being immersed in another culture. It will give them a sense of adventure. Also, practically, get them used to liking yogurt products and peppermint tea, as those things help a lot with digestive discomforts from exposure to new foods and drinks, haha! What’s your favorite restaurant in the town where you live? Jake: Well, my Romanian friends will scold me for saying it, but… Dristor Kebab, the best fast food in all of Bucharest! The shaorma is amazing but, as Romanians will tell you, it’s not health food. Jessie: Oh, how I love shaorma! All the places here that say “Fast Food,” are generally shaorma stands. They shave the chicken off a rotating pole of meat, put it in a flat bread with garlic sauce, cabbage, pickles, and various other veggies and french fries. Mmm! The best place we’ve gotten it has been right near Cismigiu Park, where you can get a small (but big enough for a meal) chicken shaorma for 6 RON (less than $2). So good! You can follow the adventures of Jake, Jessie and their kids in Romania at It Doesn’t Matter Where. All photos courtesy of the Stimpsons. If you missed the introduction to this interview series, read it here. Great post! As a Romanian I wish them all the best! Thanks Emil! Thanks for your comments in their support. I know they are really enjoying their time there. Make sure to check out their blog about life in Bucharest for more details.